The Citation Mustang offers outstanding value for money and is currently the lowest cost private jet in the very light jet class operating in the market today. We are able to charter from a fleet of Mustangs positioned around Europe. 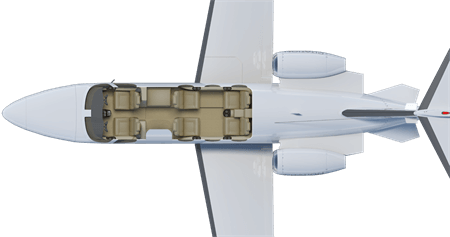 This state of the art entry level private jet offers a roomy interior for 4 passengers with features that you would expect on much larger more expensive jets. The Citation Mustang VLJ is the entry level to the private jet charter market. With a speed of over 400 miles per hour and a range of 1000 miles cruising at 40,000 feet the Citation mustang private jet flies over weather, delays and other aircraft with ease getting your where you need to be in good time. Its the ideal private jet to charter. Call central jet charter ops now for your private jet charter on +44(0) 1737 823 733 or fill out our private jet quote. Or visit private jet charter cost page. Call today for a quotation for hiring a private jet with Charter-A Ltd, and rest assured that the price we give you will include no hidden costs. We are also happy to help if you have found a more competitive price elsewhere and want to compare packages. Contact us now to begin your enquiry. The above times are a approximate and vary based on aircraft routes and winds and weather on the day. 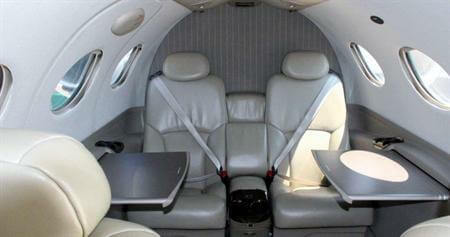 See Charter Citation Mustang data sheet.